You need to throw in some race ones. Im the same way.I remember when I first saw the 81 G.T. 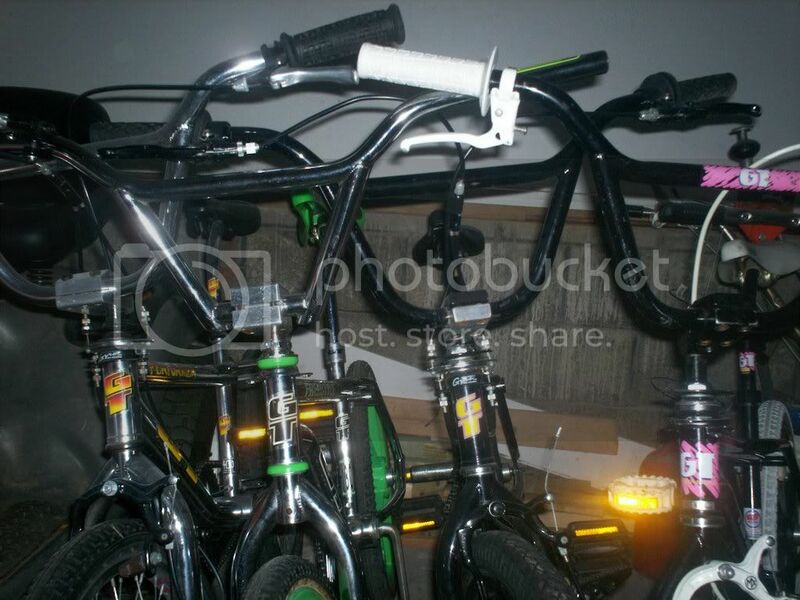 Pro brand new in the bike shop.All chrome and silver sinning so nice.Love at first site. sweet jesus. love those GT's. 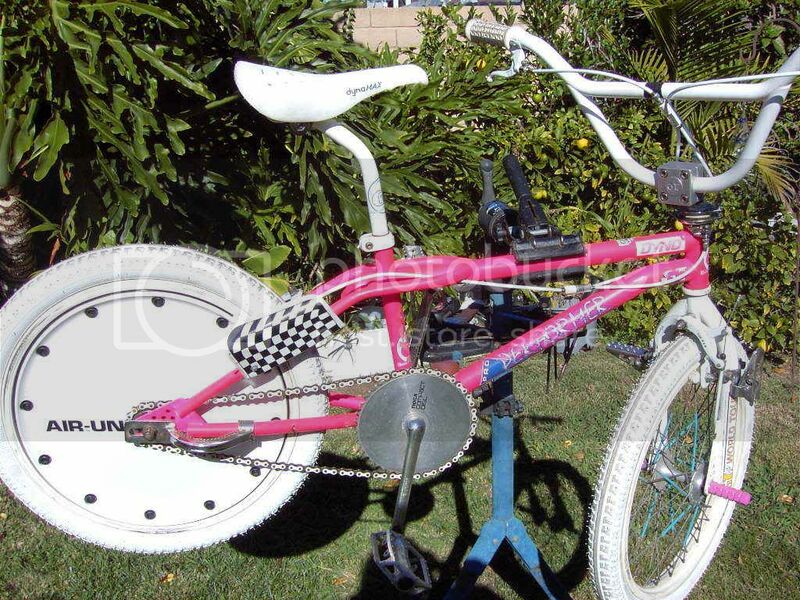 The GT was the bike that started it for me. Thats why im trying to build this one. And why i own a new school GT. 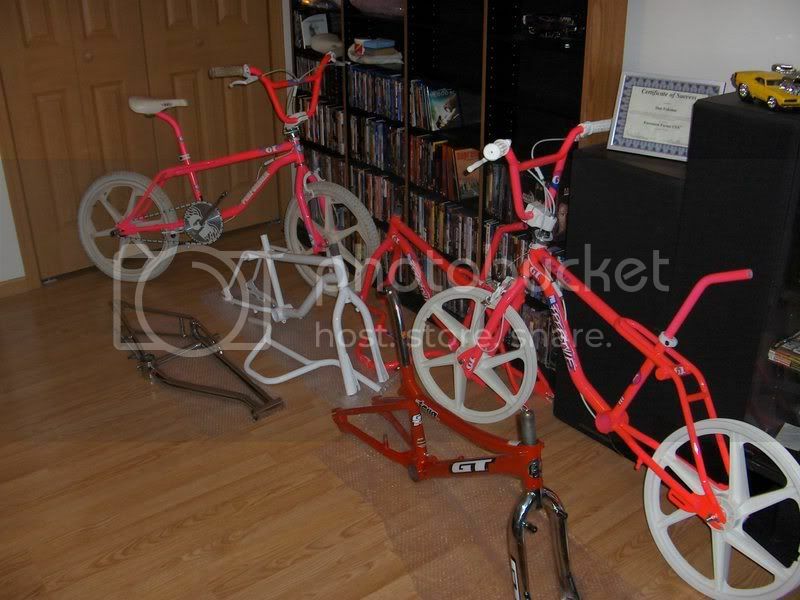 Def need to add a couple race bikes into the mix. GOTTA LOVE DEM GT'S !!!!! Nice! I've been looking for an 84 or 85 Performer or Pro Performer in chrome or an 84 or 85 Mach One in chrome for a few months. Anyone have one for sale? PM me if you do! I'd consider a complete bike, restored or unrestored, or even just F/F. 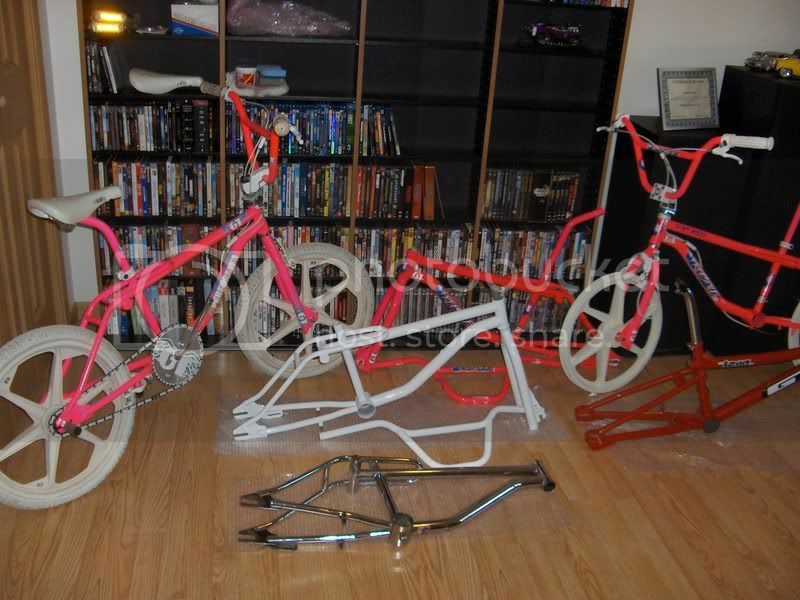 man, the pinks look any of the colors really nowadays, each like artwork, hot wheels, SWEET nice batch fenway i remember not too long ago a guy said 3 bmx won't fit in my new house, smaller closet, only 2 fit. WHAT, they don't take up that much space, can put anywhere and dress up any pad (espc chrome) - dude! Kinda looks like a pink obsession... I do like that chrome frame, what's the plan for that one???? Sweet GT's...Love the day-glo Pink color. Fenway, that black and yellow one is way sweeeet. 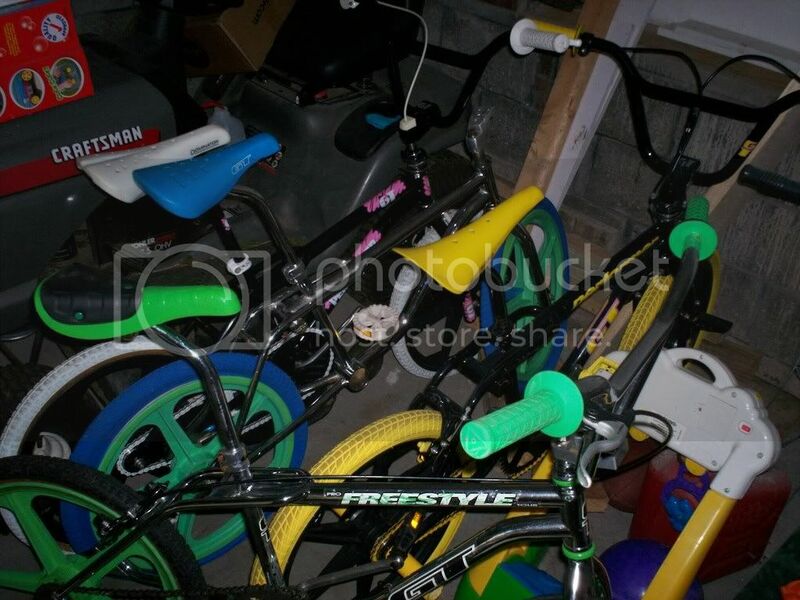 sick bikes I just sold my pro freestyle tour( )now I kind wish I had not( )! you got some sweet rides( ) at lest I keep this one! Fenway you need some race ones too. hoarding and building them at 25. 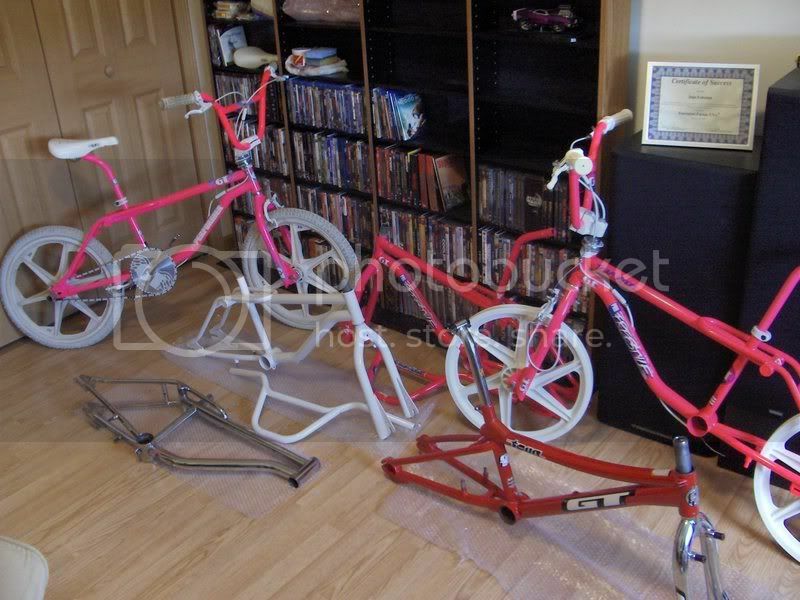 A early GT was the first bmx I ever saw I think I was like 9 years old, the chrome blinded me and it was love at first site. Here's mine and the one I built for my Daughter. I can see 5 1987-1988 PFTs in that pic!!! I love GTs too....ok, i admit it!!! that alot of beautiful GT's!! I'm just celebrating with ya brotha. I'd say about the THREE Day Glow Pink GT's you have - ... That's pretty Glorious! the 87 blue and 88 blue were different right? chromey, what kind of tires are on that purple gt?